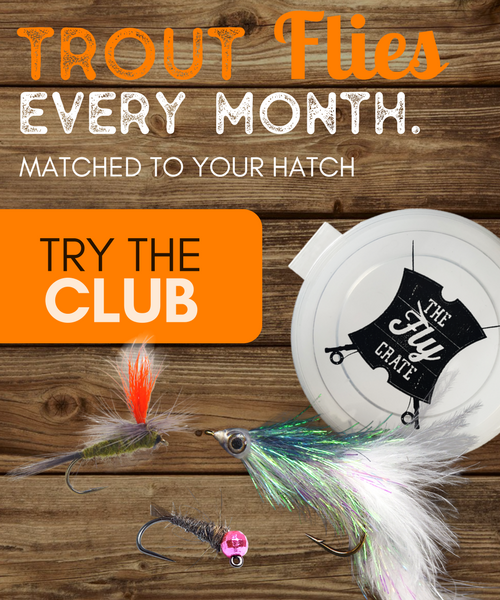 With the Fall season well into its own, an exciting time is upon us in the fly fishing world…streamer fishing. Many anglers look forward to this time of year. It’s a time when fish, especially the larger ones of our lakes and rivers, begin to ramp up their eating before the cold times of Winter. Also, for the brown trout, it’s a time when the spawn happens, which leads to some very aggressive fish. One of the best ways to target this actively-feeding fish is with streamers. Streamer fishing is probably one of the funnest forms of fly fishing. The excitement of the take, the ability to fish larger flies for aggressive fish, it all combines into one all-around great time out on the water. There are a few basics you’ll need to be aware of though before chucking that size 2 Wooly Bugger in the next river you see. Don’t worry though, they are far from complicated. One of the main items to be aware of is that fishing with streamers tends to elicit very aggressive strikes out of fish. Gone will be times of watching that indicator for the slightest movement. Typically, when a fish eats a streamer you’re going to feel it. What this causes though is situation that is very easy to snap your leader and tippet. You won’t be using any 5X strength material here. I will admit it is possible to use that light of material though, it’s just not highly advised. I’ve been lazy sometimes when tying on a streamer to 5X and managed to land a fish or two. Then the next one snaps it and so does the one after that. Use a heavier leader…trust me. It’ll save you the hassle and expense of lost flies. The lightest fly fishing leader material I’ll generally use is 4X. The lightest. If you’re fishing a larger river that has a stronger current and larger fish, it is wise to step this up to 2X. This will allow for the strength of the current and the savage strike that comes from fish likely to eat your streamer. Learn to tie these different knot using these simple knot tying cards! The first two are basic knots that can be used for any fly fishing scenario and I tend to gravitate towards the Orvis Knot as it’s simple and quick to tie, small, and provides an almost 100% break strength. The Non Slip Loop Knot is ideally suited for streamer fishing. This knot does exactly as it says and attaches your fly to the tippet by a loop. This allows for free movement of the fly and added action to entice the fish to strike. While there are specialty fly lines on the market for streamer fly fishing, they are not always necessary. 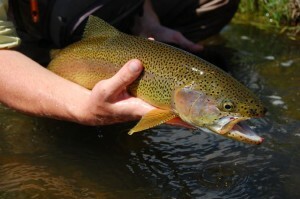 Fly fishing with streamers can be accomplished with the same weight forward fly line you use for dry fly or nymph fishing. However, those specialty fly lines do have a purpose in your arsenal. Fly lines such as those by Rio like the InTouch Streamer Tip are designed for casting large, heavy flies and the Streamer Tip utilizes a sinking tip and aggressive front taper to easily cast large streamers. That sinking tip allows you to reach deeper in the water column with your streamers. This can be very beneficial in those situations where there is a really strong current. Fishing streamers in this water can result in your fly skating along the surface as there just isn’t enough weight or the current is just too strong to get your fly down. 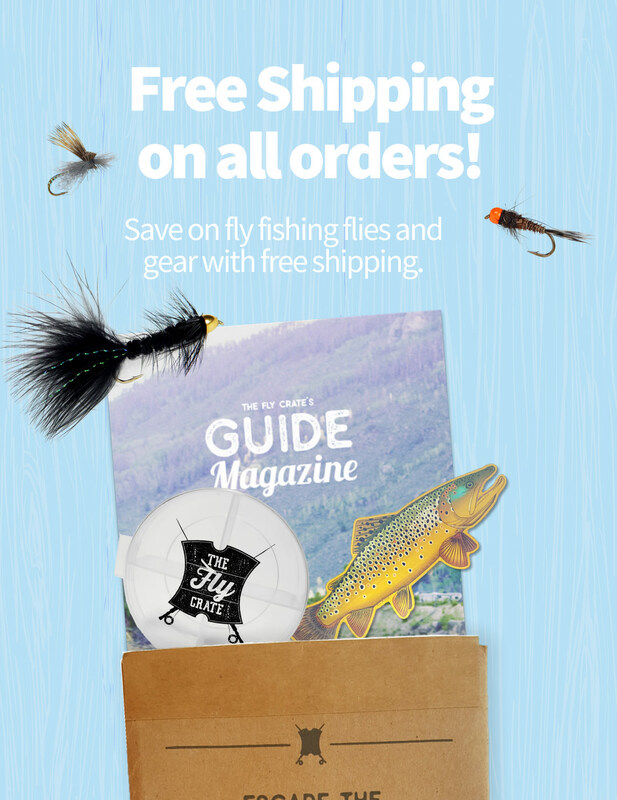 While these lines are not necessary, if you have the option to add a new line to your arsenal, try out one of these specialty fly lines. Check out Fishwest.com for a wide assortment of Rio Fly lines if you’re in the market. Now on to the meat of the topic. 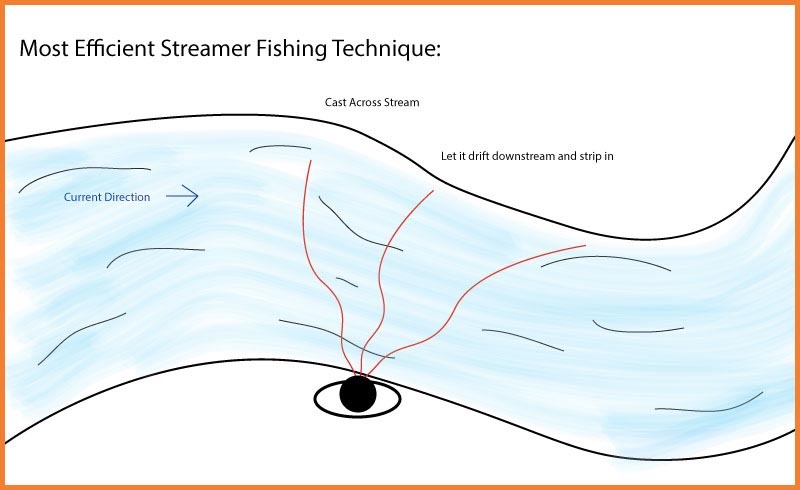 You may be wondering just how to fish streamers. In its basic form, you cast your fly out and strip the line back in towards you. Simple enough right? Well there is a bit more to it than that, but in its basic form, you can fish a streamer that way and still manage to catch a fish or two. The basic technique is that of stripping the fly through the water though, but there are a few tactics to apply to help increase your streamer fishing odds. I’m not going to dive into the techniques of streamer fishing on lakes today. There are far too many variations of what can work to explain in this article. What I’m going to focus on are the basics for streamer fishing in rivers. Many people, myself included, begin to fish streamers by casting your fly downstream, or down and across, and stripping the fly back up through the current. This is one of the basic forms and probably not the most effective though. That being the case because not many leaches or small minnows are strong enough to fight the head-on current and swim upstream. However, it still does work because part of the effectiveness of streamers are the fact that they trigger a responsive strike about as much as they trigger a strike because the fish is hungry and wants to eat something. A more effective method for streamer fishing is to cast your fly straight across, or even slightly upstream from your location. This will provide two benefits. One is that you can allow your fly to sink slightly and have it move through the water column at a deeper depth where more fish are likely to be holding. The other main benefit is that if you cast your fly straight across the river and strip it back towards your, you present the broad side of your fly to the fish that are facing head first into the current. For example, you are fishing a black wooly bugger and you cast this straight downstream and strip it in. the fish will see the thin outline of the fly the same as if you help up a pencil in front of you pointing straight away. You’ll see the back end of the fly, but you miss the meat of it. Now image you turn that pencil sideways and move it in front of you. You see the full body of the pencil and the full meat of it. Switch this back to the wooly bugger and imagine it streaming in front of a fishes face with its broad side that the fish can see. They get a full on picture of the fly in front of them and can see all the flash and substance of the fly, thus adding that much more to the enticing factor of the fly. It takes a bit of getting used to this when fishing fast current and you fly and line begins to scream downriver the moment it touches down. This is very fast-paced fishing and when those fish strike, it’s an exciting experience. When stripping the fly in, you have many options to do so. You can use a basic 6-inch pull of the line, short quick strips, long and quick mixed strips, or any other variation. Play around with it and you’ll find what works best for the fish in your local waters. The last item I want to touch on is setting the hook with a streamer. With nymph and dry fly fishing, the fish will take the fly and you will raise the rod to set the hook. With streamer fishing, this is not the most effective method, and many times will result in ripping the fly right out of the fishes mouth. What you want to practice doing (and it will take practice) is using what is called a strip set. The basic idea is that a fish strikes your fly (you’ll feel it) and you use your hand that is stripping the line in and pull it back to set the hook. You’ll do this while keeping the rod low and pointing towards your fly until you have set the hook. This will pull the fly forward and set the hook in the fishes mouth, without the upwards motion caused by raising your fly rod as you’d normally do. The strip set is odd to those of us that fish freshwater primarily. This type of hookset is more common to the saltwater angler. Practice is the only thing that will help you out though, and even to this day I still have a hard time with it on occasion. I’ve even witnessed some very seasoned anglers making the same mistake of raising the rod, so don’t feel too frustrated if you forget now and then. Streamer fishing is about as exciting as you can get when fly fishing. The aggressive strikes of the fish, the fast-paced fishing, it all makes it an incredibly enjoyable experience. 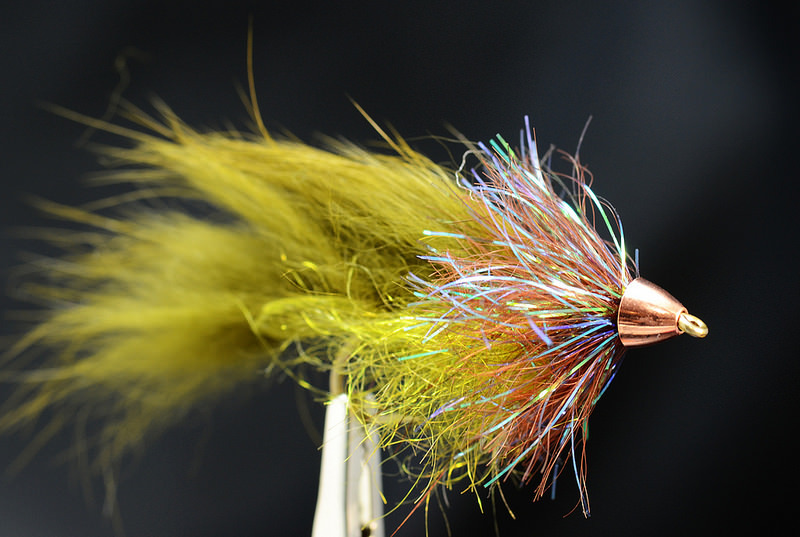 If you think of how fun traditional fishing is with spinners, then you can equate that to streamer fishing. And there is no better time to do so than in the Fall. So get out there and try it out. 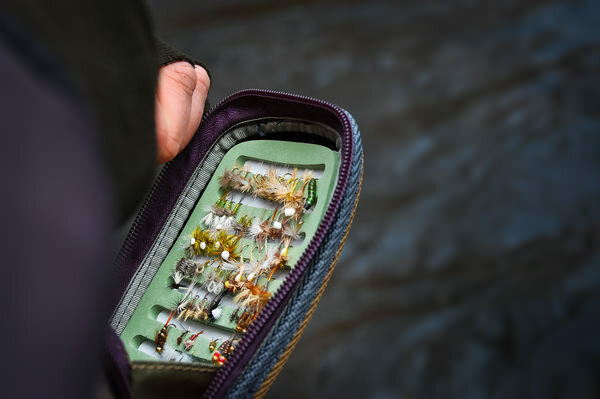 This only covered the fly fishing basics of streamer fishing, but in time you’ll branch off to your own methods and tactics.